This is a single room with a modular bath in 14～17㎡. The bed size is 97cm×195cm. 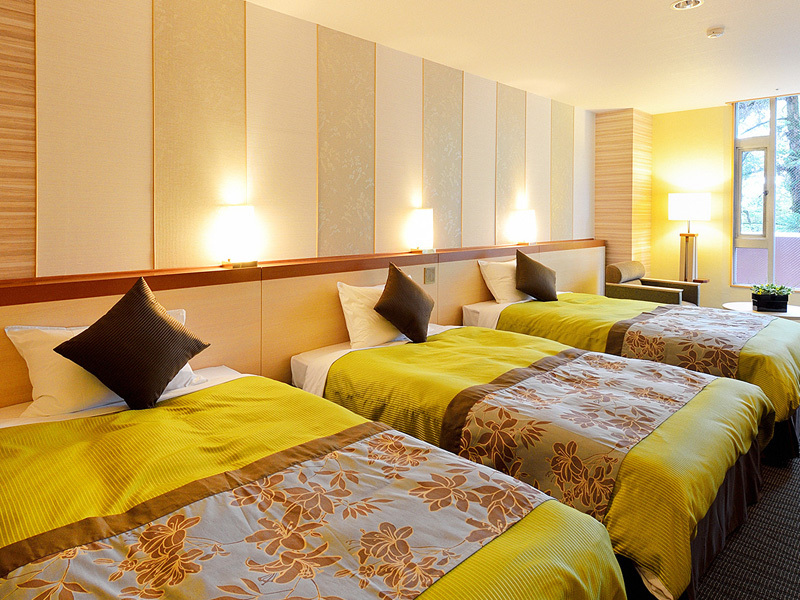 This room is perfect for solo-trip or business use. This room has a double bed and it's good for a couple. Modular bath is equipped and the bed size is 160cm×195cm in 22~26㎡. 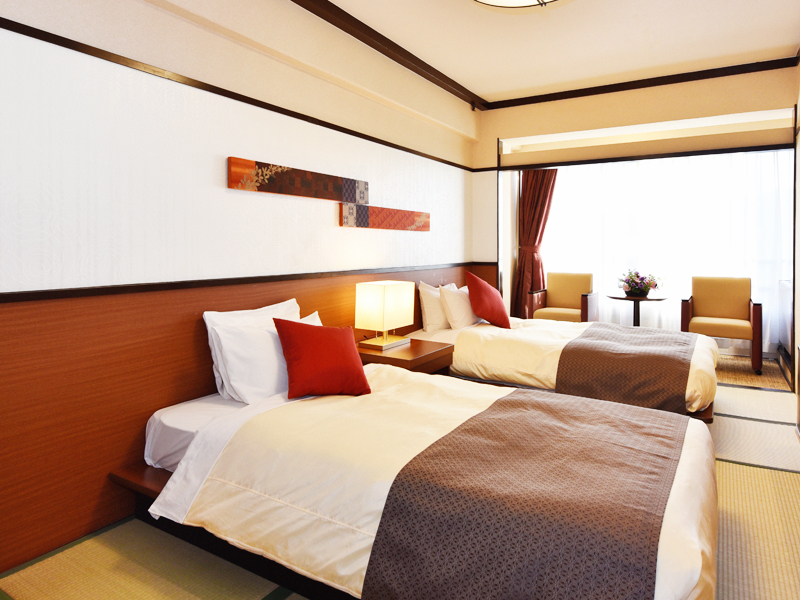 A luxury double bed in 23㎡. 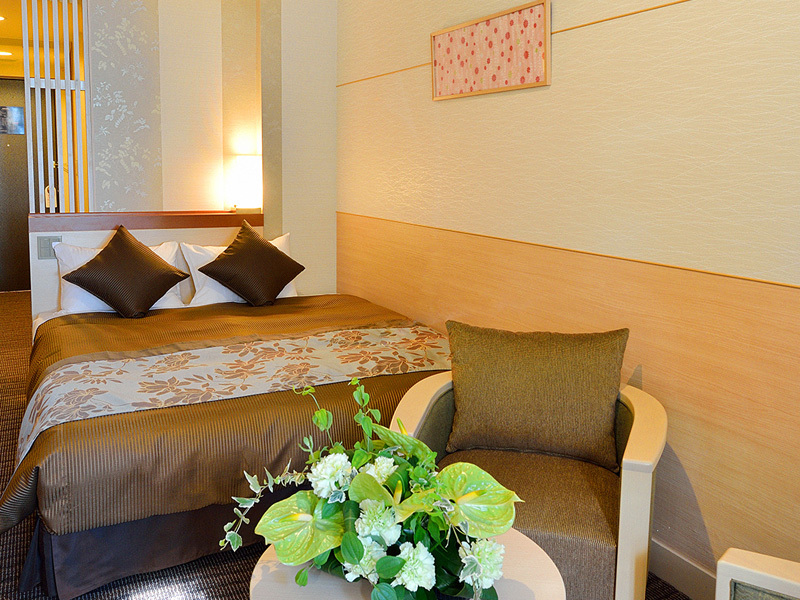 The room has a 160cm×200cm size bed with a modular bath. Available for two guests. 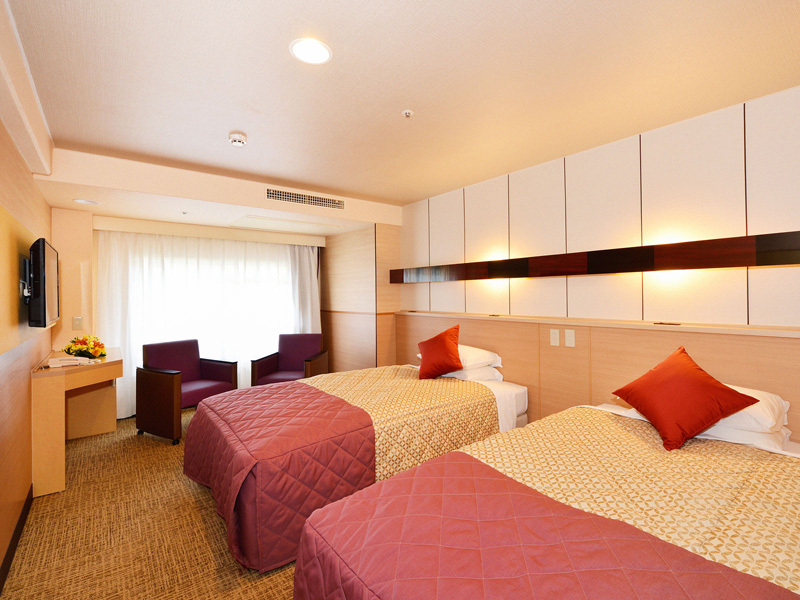 Two 110cm×195cm sized beds and a modular bath are equipped in 24㎡. 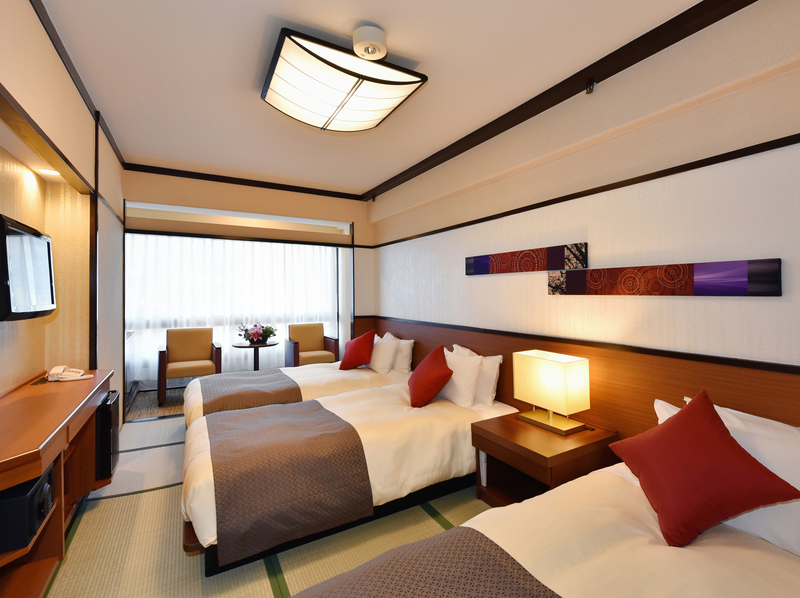 Two 110cm×200cm sized beds, and a modular bath is in this 24.6㎡ room. A massage chair is equipped and it makes you relax. 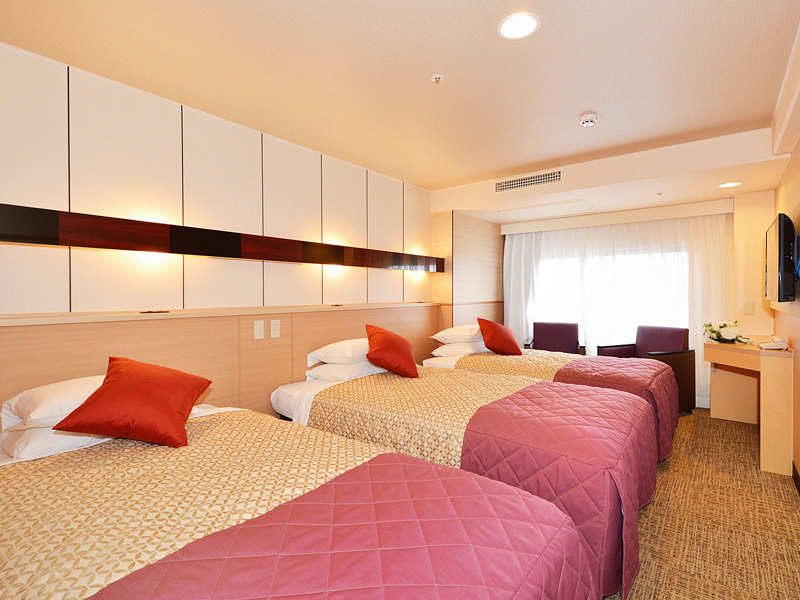 Two 125cm×195cm sized beds in 31～33㎡ room. This is a spacious room. Triple room with bath and toilet. The bed size is 110cm×195cm. Suitable for group of friends and a family. 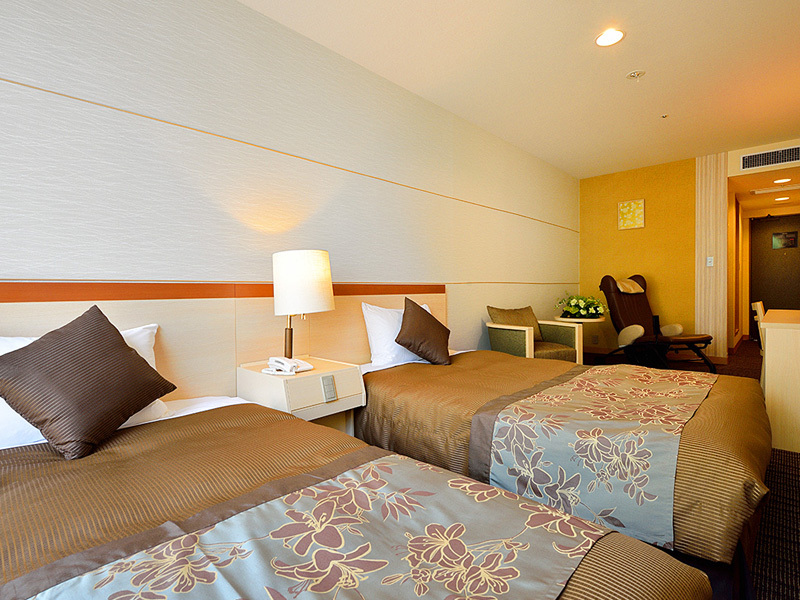 Three 120cm×200cm sized beds in 34㎡ room. Suitable for friends and family use. 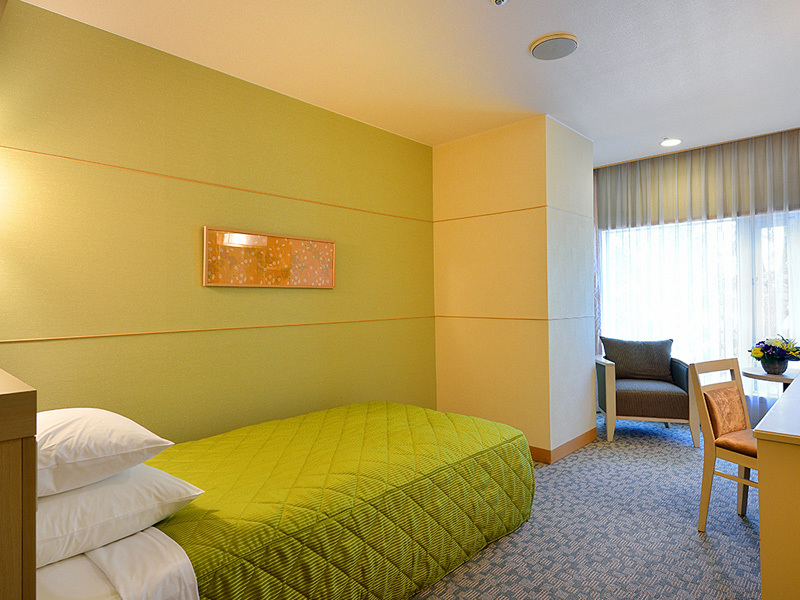 A three-quarter sized bed (140cm×200cm) in 17㎡ room. Suitable for business and sightseeing with two people. 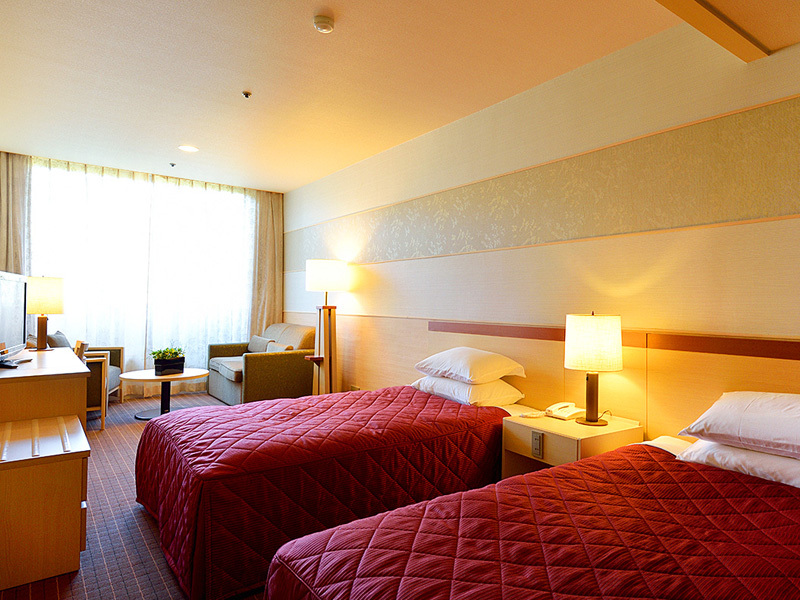 Two 110cm×200cm sized beds with shower booth. suitable for couple and married couple. 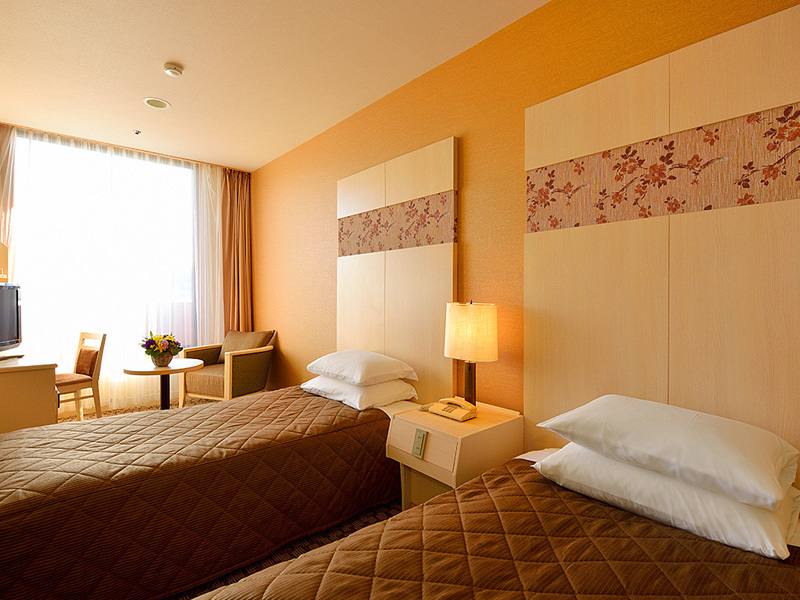 One 110cm×200cm sized bed, two 100cm×180cm sized beds with a shower booth in 22㎡ room. Suitable for family and friends. 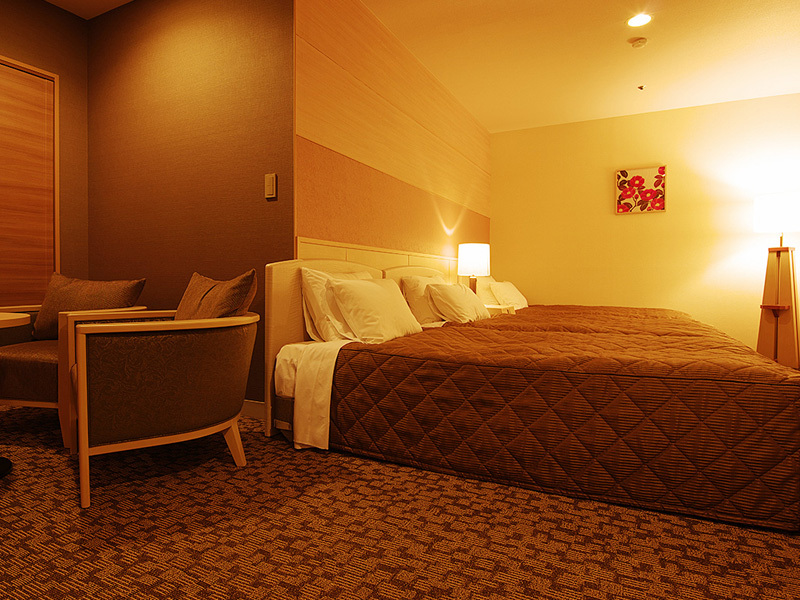 Two 110cm×200cm sized bed with a shower booth in 23㎡ room. Please relax on tatami mat floor. 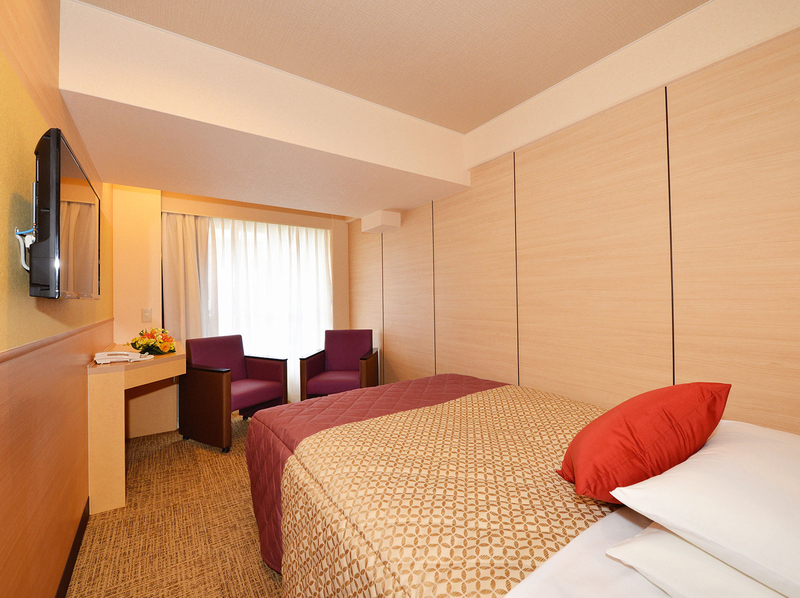 Three 110cm×200cm sized bed with a shower booth in 23㎡ room. Please relax on tatami mat floor.